There’s an expression – “you are what you eat.” And that’s certainly true when it comes to good nutrition. Dietetic technicians help patients understand the important connection between food and health. Under a dietitian’s supervision, they assist with food service and nutritional programs. They plan menus and prepare meals following nutritional standards and recipes that ensure patients’ individual needs are met. Dietetic technicians observe and gather information from a patient, so a registered dietitian or doctor can determine the patient’s needs. They also counsel people about the food choices they should make to prevent or manage disease, such as cutting back on sugar for patients with diabetes. Most work in a variety of healthcare settings, including hospitals, nursing homes, and assisted living facilities; or for state and local government. In all settings, dietetic technicians follow guidelines established by the government and medical experts. 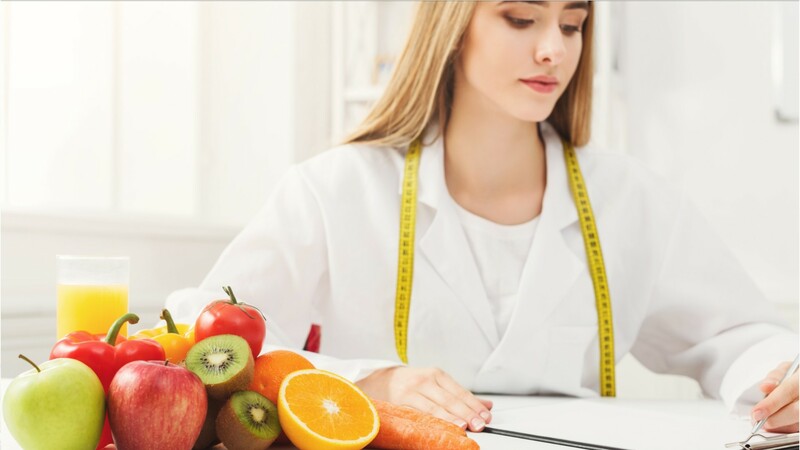 Most employers prefer candidates with an associate's degree from an accredited dietetics or nutrition program, though qualifications may vary. While everybody needs to eat, dietetic technicians help those with special nutritional requirements to improve their health through informed choices. See more details at O*NET OnLine about dietetic technicians. Dietetic Technicians by U.S. Department of Labor, Employment and Training Administration is licensed under a Creative Commons Attribution 4.0 International License.